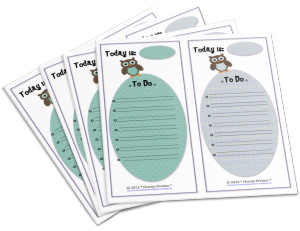 Classroom Freebies Too: "Whooo" is Looking for a To-Do List? "Whooo" is Looking for a To-Do List? I have just created a fun To-Do List – and it is free! Copy, cut out, and use to jot a note down for some of things you have to do today - enjoy!